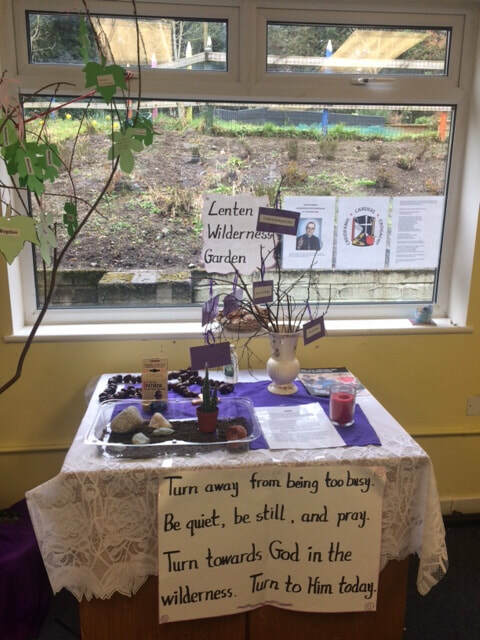 LENT BEGINS WITH BLESSED ASHES AND OUR LENTEN TREE REMINDS US OF GOOD DEEDS WE CAN DO. OUR TRÓCAIRE BOXES HAVE BEEN BROUGHT HOME. 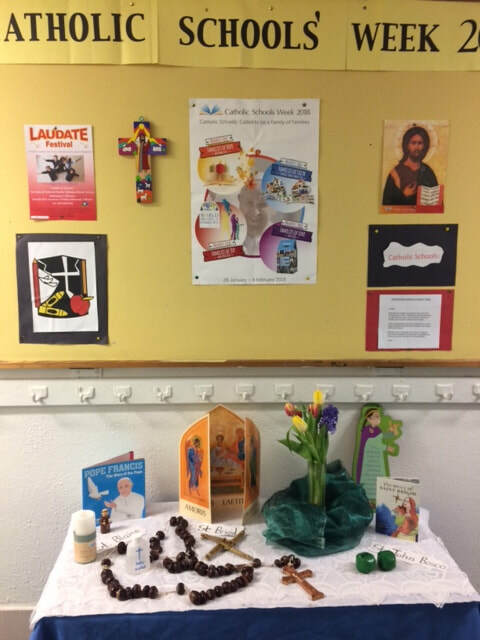 WE ARE REMEMBERING TO PRAY AND TALK TO JESUS. OUR WILDERNESS GARDEN REMINDS US OF THE TIME JESUS SPENT IN THE DESERT. 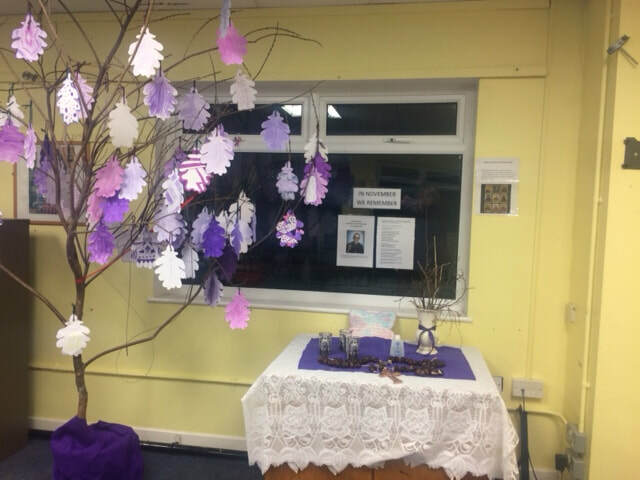 Our Sacred Space is displaying a beautiful crib and also an Advent tree which reminds us to do good deeds which we can present on Christmas morning to baby Jesus. 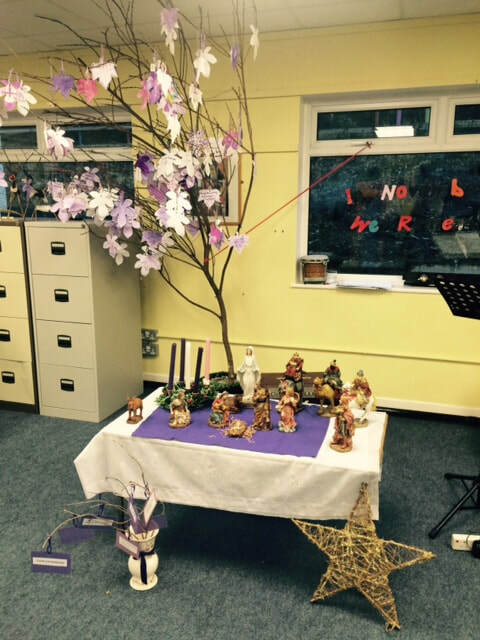 We also have an Advent Wreath which we light each week. Our Sacred Space contains a tree. On the tree are leaves with the names of all our family members who have died. We remember them especially in November and we pray for them every day. May they rest in peace Amen. 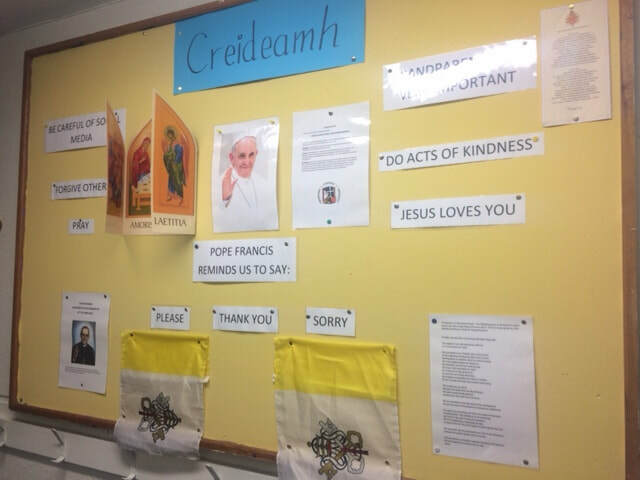 Pope Francis' visit to Ireland was a wonderful, exciting time. He gave us some special messages to help us live as Jesus would like us to. Our Faith notice board reminds us of these. 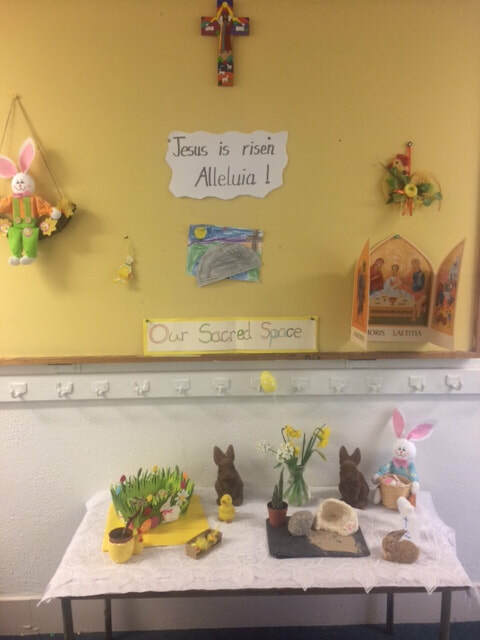 Our Sacred Space is depicting the joy of Easter at this time. 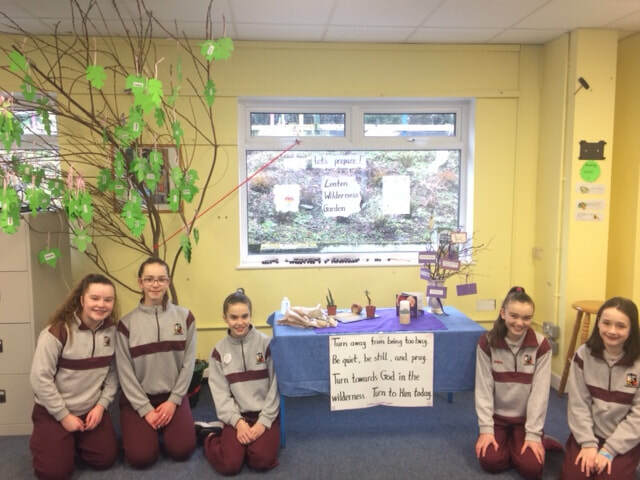 6th Class girls made a beautiful Lenten Wilderness Garden. The Lenten tree reminds us to do some good deeds, and perhaps give up something. The Trócaire box reminds us to try to think of others and give our spare pocket money to those in need. 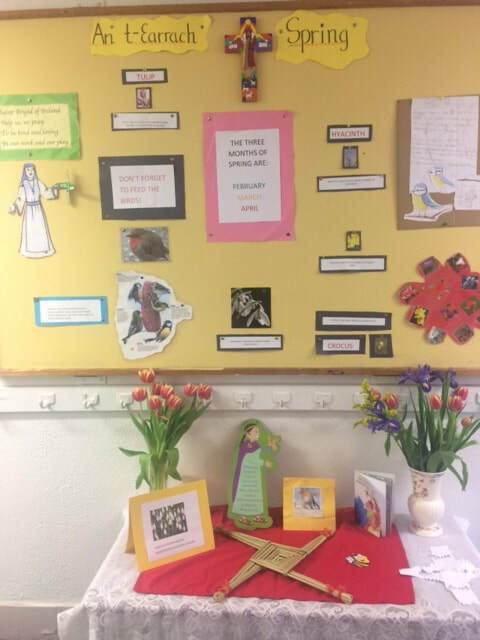 During Catholic Schools' Week the Sacred Space is depicting the beautiful Amoris Laetitia prayer card and symbols of St. Brigid, St. Blaise, St. John Bosco and of course His Holiness Pope Francis. 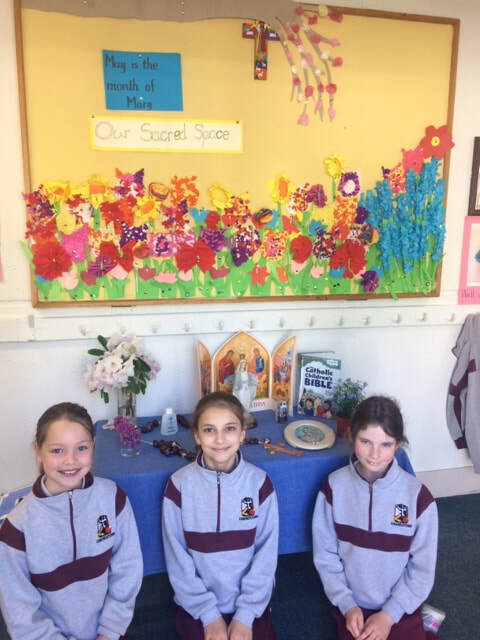 The children from the Choir sang at the Laudate festival in St. Colmcille's church on Monday 29th of January 2018. It was a lovely festival of joy. 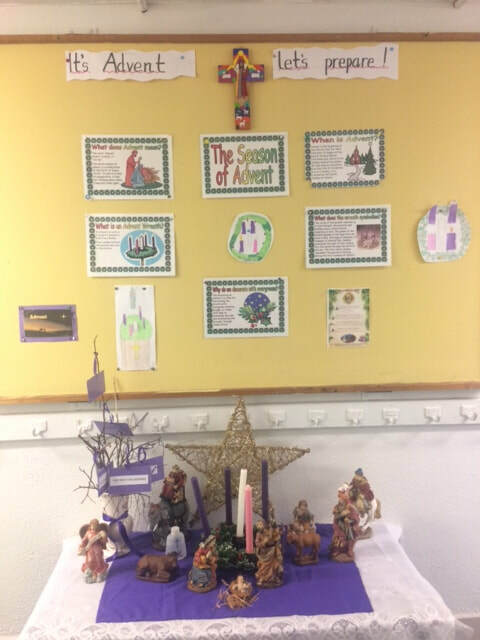 During Advent, our Sacred Space depicted the season of Advent. 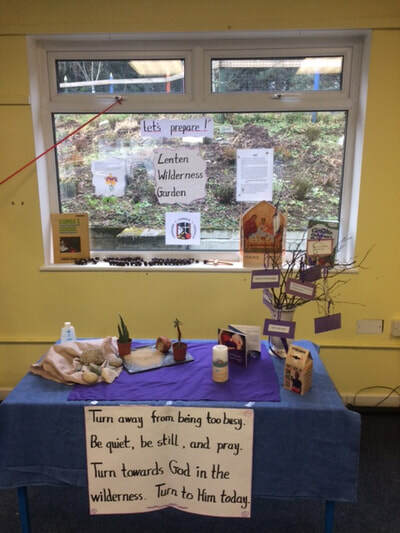 Our Advent tree held good deeds that we could do in preparation for the great festival of Jesus' birth, such as tidy our toys, set the table, say our prayers etc. 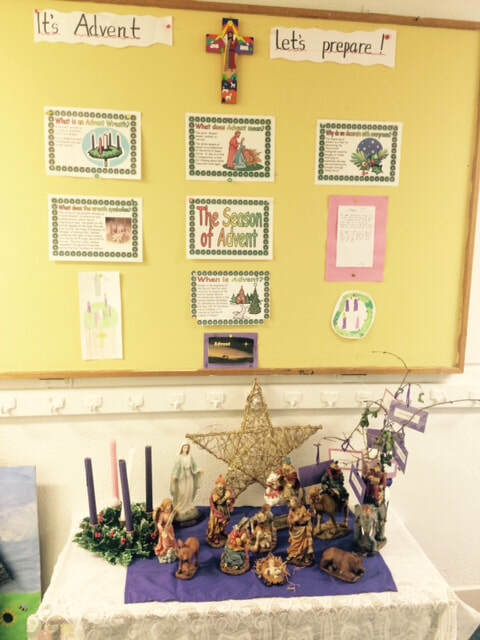 We lit a different candle each week on our Advent Wreath. During the month of November, we placed the name of every member of our family who has died on a leaf and this was placed on our Tree of Hope. This signified our belief in eternal life and the hope that brings to us all. Fr. 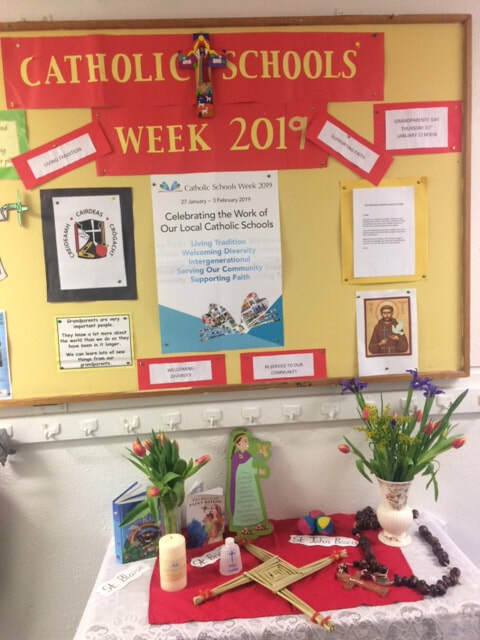 Lyng celebrated a lovely Assembly Service with us all.